Having just become an Earth Sciences (Geology) student, I am already used to the people’s stock response being ‘ooo… rocks…’. While geology is the study of rocks and Earth’s structure, it is also so much more! For me it is the perfect combination of all the things I loved at A-Level; Maths, Chemistry, Physics and Geography. Despite this, studying Earth Sciences at Durham University was a pretty daunting prospect, especially as there are other students on my course who have specific Geology qualifications and prior knowledge. I have always loved learning new things but it very quickly became apparent how difficult it can be to read about new scientific ideas without prior knowledge. It is easy to forget that the terminology used by scientists, day in and day out is definitely not common place for the majority of people. To understand more about my subject, I decided to explore some more unusual channels to learn things in a more accessible way. 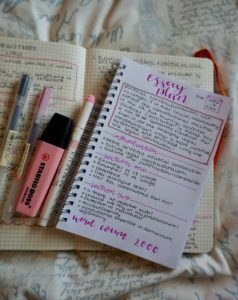 To my great surprise, Instagram blogs proved a very successful way of doing this. The use of pictures along with short descriptions presented ideas in a quick and visual way. This experience highlighted to me the importance of communication within science; but also made me sad to think that some people are missing out on learning about the world around them just because the information isn’t always presented in an accessible way. For this reason, I started Adventures of a Geologist, my very own Instagram blog, with the aim of sharing scientific ideas illustrated by my travel and learning experiences. It is all about learning from the world around us, which together with my developing knowledge as an aspiring (if rather inexperienced) geology student is an ideal combination. @adventures_ofa_geologist was set up in January this year and since then the support I have received really amazed me. Now with over 6,000 followers to learn things from, there is never a dull moment! From travel recommendations to suggestions of books to read I am always learning new things. It is so encouraging to receive messages and comments; especially when followers say they have learned new things from my posts. 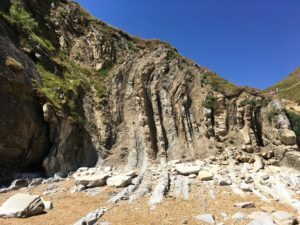 Over the last few months, I have built up quite a bucket list of geological sites to visit enabling me to continue sharing my learning experiences with the surprisingly large ‘insta rock community’! My favourite blog interaction so far came last summer when planning a trip to Sicily. A follower recommended The Alcantara Gorge, a stunning river gorge lined with basalt columns from an ancient lava flow; it was immediately on the bucket list. Scrambling down to the base of the gorge, I wasn’t prepared for the incredible views that appeared around me. 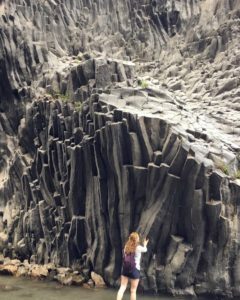 The walls of basalt towering 50m high displayed incredible examples of columnar jointing. This is a geological feature where cooling lava contracts about a single point forming pillars like those at the Giants Causeway in Northern Ireland. It was another reminder of how amazing the world around us is and how excited I was to start studying Earth Sciences at university. I am only just a couple of months into university at Durham and so far, have never stopped learning! 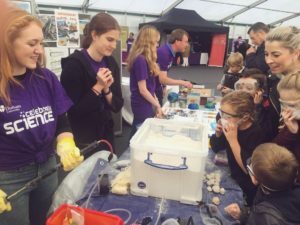 There are so many amazing opportunities to get involved in, a favourite of mine being the Celebrate Science event. Organised by the university for the benefit of local school children, and it’s FREE, this was the perfect way to see how communication of science can have such an impact on young people and how important it is to make science as accessible as possible. Hi! 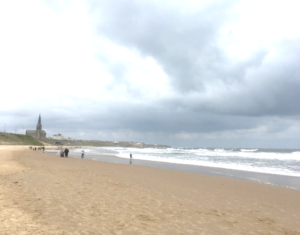 I'm Lucy, a first year Earth Sciences student at Durham University. With a love for science, travel and adventure, I am keen to communicate scientific ideas to the public through my experiences. 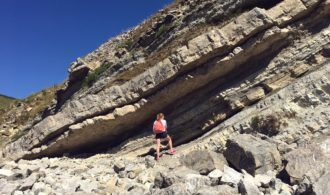 My Instagram blog, Adventures_ofa_geologist, follows my journey as a girl pursuing a future in STEM. What are pre sessional programmes like?